-Four words to summarize my week: Too. much. junk. food. -Which leads to Halloween. It was fun! Peter was in New York for a conference (boo!) so I took the boys trick-or-treating, and I enjoyed it a lot more than I thought I would. It was also a nice easy way to meet more of our neighbors since we're new in the neighborhood. 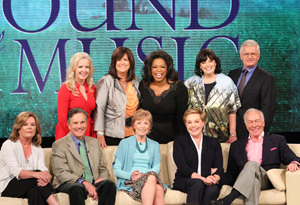 -The best thing I saw on TV this week was The Sound of Music cast reunion on Oprah. That's one of my favorite movies ever and it was neat to see the "Von Trapp" kids as adults (I often wondered what ever became of them all) and of course Julie Andrews and Christopher Plummer are always a treat. The behind-the-scenes info and footage was fun to see too. I've had "Edelweiss" stuck in my head all week. -We've been receiving so many catalogs in the mail lately, and I'm sure it will increase even more as the holidays approach. I actually like catalogs, but not this many--sometimes we get about 3-4 new ones a day! I didn't think this would be an issue because of our move over the summer, but no, those companies will find you no matter where you are. -I know I've mentioned Invisible Pet Fence a few times recently and I'm going to mention it again. I love it! The inventor of it should get a Nobel Peace Prize! It has greatly increased the quality of life for our new dogs and for me. They love being able to run free around the yard and play and I love being able to open the door and let them go instead of having to walk them around (which is not easy to do with two young rowdy powerful dogs), tie them out, and then go out repeatedly to untangle them or bring them in. Invisible Pet Fence is worth every cent! -I'm tired of being a mediocre cook who makes the same things for dinner week after week. I'm ready to take my cooking game up a notch. Or a lot of notches. 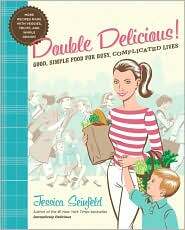 I recently saw Jessica Seinfeld on Oprah (that show as you can see is rather influential in my life) and it was the kick in the pants I needed to get motivated to start cooking better and more creatively. I'm getting her new cookbook and I'm going to start using the many neglected cookbooks and recipes that I've had for years and have rarely used. My family isn't going to know what hit 'em! If you'd like to read the Friday Fragments of others head over to Half Past Kissin Time. Have a good weekend!